Home / ROUNDO closed for Summer Holidays! Important information to all our customers! Our office and factory will be closed for summer holidays July 7th – August 3rd. During this period we will monitor our email: info@roundo.com with limited resources. 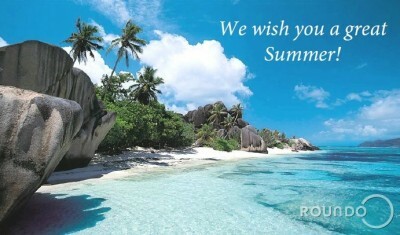 We apologize for the inconvenience this may cause and wish you a great summer! If you have questions or inquiries, please contact our Sales Department colleagues or email us at info@roundo.com. You may also call Customer Service & Support on Monday to Friday between the hours of 8:00 am and 4:00 pm at +46 451 42200.